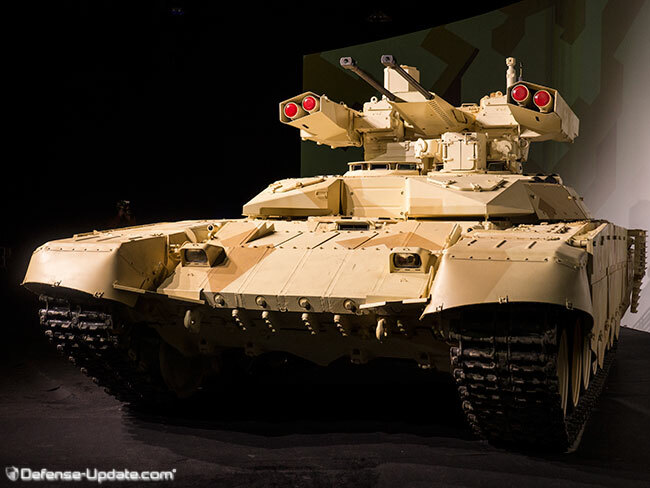 Uralvagonzavod unveiled today the new BMPT72 (also dubbed Terminator 2) combat support vehicle in public on the third day of the Russian Arms Expo RAE-2013 at Nizhny Tagil. Defense-Update reports. 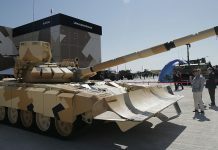 Unlike the first generation BMPT that was produced as a new vehicles, rolling off the T-72 production line, BMPT72 is converted from the T-72 platforms that are withdrawn from service,thus offering a cost effective solution for military forces that are already operating over 20,000 T-72 platforms. 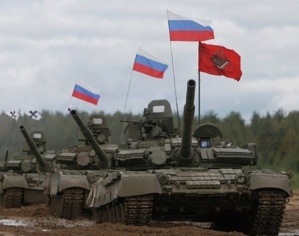 BMPT has introduced a new concept in combat support, which was not fully comprehended by users. The designers are confident that the new configuration that better integrates with the operational procedures. 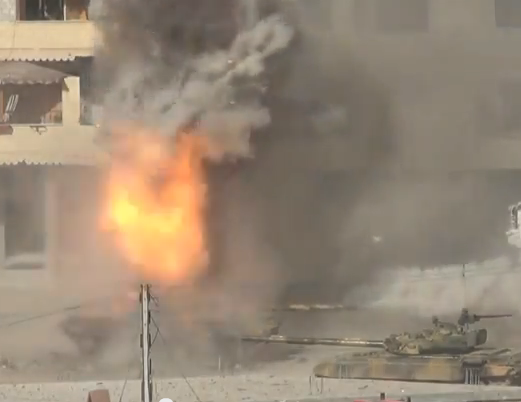 Under this approach, a BMPT replaces one of the squad’s tanks, thus enabling the whole unit to bring its firepower to maximum effect. 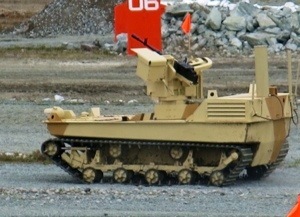 The fire support combat vehicle supporting the team with target acquisition, close and medium range fire support and anti-tank team suppression. It is also highly effective in urban operations, offering elevations and depression angles for both main weapons and sights. The vehicle features extremely effective firepower, high Level of protection, high mobility and improved mission endurance. 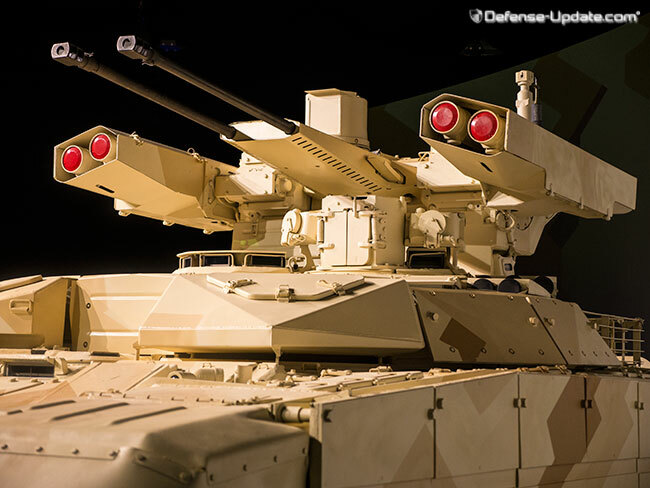 As the first generation BMPT it is designed to engage a wide target set, from enemy tanks, infantry fighting vehicles and other armored vehicles, dismounted infantry, and guided missile teams. The weight of the BMPT72 was reduced by four tons to 44 tons. The crew count was also reduced, from five to three, with the removal of two grenade launching positions. Besides the elimination of 2,100 grenades, the ammunition count remained unchanged – four laser guided ATAKA missiles effective against armor, helicopters or infantry targets at ranges up to 6,000 meters and remotely controlled dual 2A42 gun platform, firing 30mm projectiles. 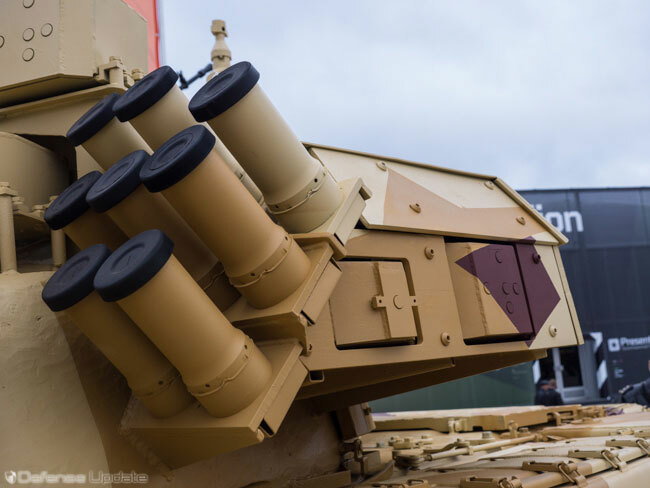 The turret contains 850 rounds of APRS-T, HEF-I, AP-T, KE rounds. 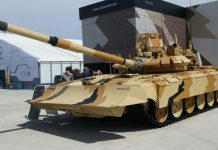 Among the improvements introduced with the new BMPT72 is a redesigned turret, with lower profile and better protection, including armored shields for the missiles, protecting the missiles from splinters and small arms fire. The launchers are positioned oblique side by side rather than the previous stack configuration. 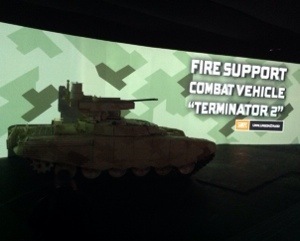 The vehicle also uses improved fire control and navigation systems, utilizing video, thermal and laser rangefinder sights for both commander and gunner. 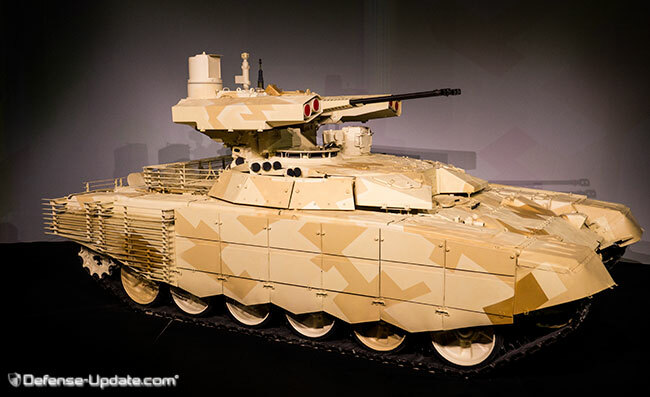 The standard T72 hull received a remodeling with add-on armor, reactive armor modules and slat armor, protecting the rear area. Customers will be able to have a choice of two engines – the original 850 hp B84MC or the new 1000 hp B92C2 power plants, both are 12 cylinder V type multi fuel, liquid cooled Diesel engines. The main difference is the replacement if the centrifugal-type supercharger with a turbo supercharger for higher power and efficiency. An auxiliary power unit is used to extend the BMPT72 mission endurance, running all systems on silent watch.